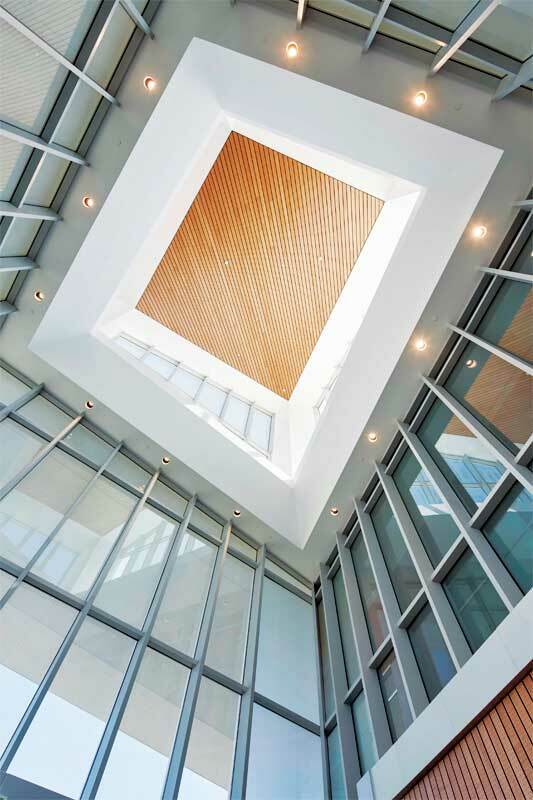 Each year, curtain walls continue to soar higher, form angles that are more challenging, and push the building envelope closer to total transparency. A case in point is the Toronto Transit Commission’s (TTC’s) Vaughan Metropolitan Centre Station, which is slated for completion in the suburb later this year. To create a curved entryway pavilion that acts as a counterpoint to the vertical subway station and helps introduce light deep into its underground concourse, Arup Canada, in association with Grimshaw Architects, designed an extensive roof structure in the shape of a ‘saddle.’ It integrates with a curtain wall configured to segment around the exterior at varying heights at the two open ends of the saddle. This imaginative entryway helps create an elegant building that looks as if it houses art, not a subway line. To enable sophisticated curtain wall assemblies like the one in Vaughan Metropolitan Centre Station, design teams are turning to framing materials that are as strong as they are versatile. Increasingly popular materials now being used for curtain wall frames include carbon and stainless steel profiles. Thanks to advanced manufacturing and fabrication techniques, they can bring form and function to curtain walls for years to come. Steel’s strength and design versatility can support a wide range of complex curtain wall assemblies. Carbon steel is the most commonly used type of steel for curtain wall framing. It has a Young’s modulus ÿ of approximately 207 million kPa (30 million psi), in comparison to aluminum, which is approximately 69 million kPa (10 million psi). This allows the material to support larger free spans at the podium level of buildings. Another increasingly popular option, stainless steel, can support expansive curtain wall assemblies while providing a high-end esthetic and additional protection against corrosion. From a design standpoint, carbon and stainless steel framing members are now available to support glazing applications in lengths and shapes previously impossible with hollow-metal, hot-rolled, or welded steel frames. Fabricators can roll or laser-weld the profiles into project-specific shapes. 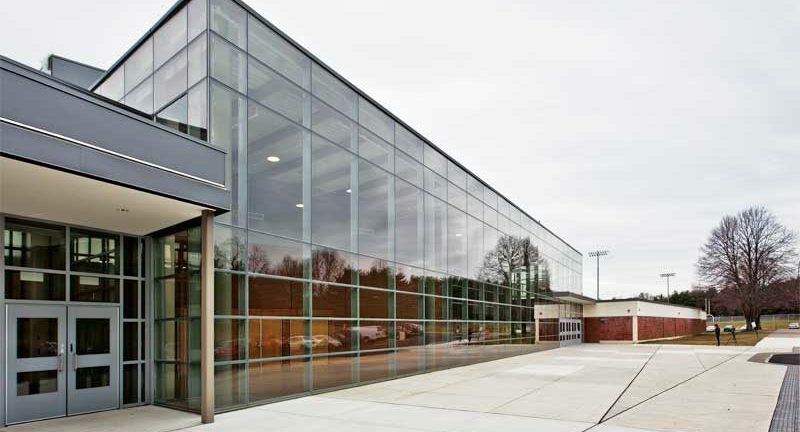 This versatility makes it possible for design teams to capitalize on steel’s strength in a wide range of complex curtain wall assemblies, from segmented steel curtain walls to multi-story steel curtain walls with expansive free spans. Modern steel frames can also help advance curtain walls in areas with fire and life safety criteria. While steel’s strength and enhanced flexibility are attractive to design professionals looking to push the curtain wall envelope, concerns can arise over whether steel frames can provide enduring beauty. Even the most complex and imaginative curtain wall assembly will detract from a building’s esthetic if it starts to deteriorate—earlier steel curtain wall systems had a reputation for being susceptible to corrosion, moisture intrusion, and wear.